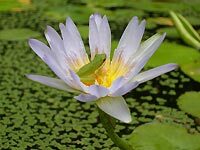 If you are looking for accommodation in Byron Bay for your next holiday or short escape, come and enjoy the beautiful holiday accommodation at PLANULA, a tranquil tropical oasis set on over 50 acres just over 3 km from the town centre. Your hosts, Tim and Wandy, will make you feel at home at this modern Bed & Breakfast style retreat. Make sure you book directly through our own website using our safe and easy online booking page for the best possible rates as well as the chance to get a room upgrade if available. Any direct bookings of 3 nights or longer will receive a complimentary bottle of wine on arrival OR use the voucher code BKDIRECT to receive a 5% discount. Unwind on the extensive decks around the house overlooking the frog pond and enjoy the lush gardens. How about listening to the birds and frogs over a BBQ at night? Inside you can enjoy our large collection of books and games or simply relax in the spacious guest lounge under cathedral ceilings. Make use of our free wifi (wireless broadband internet access), very fast, always on and in every room. You can virtually walk though every part of Planula and check out all rooms and common spaces using our new Virtual Tour Page or on google maps. Diving or snorkeling at Julian Rocks Marine Park. Eating out at any one of the numerous restaurants and cafes. Relaxing with a massage or yoga session. Going sky diving, hang gliding, ballooning, microlight flying. Humpback Whale Watching from land and boat between May and October. Climbing Mt. Warning and enjoying the stunning views of our beautiful Hinterland and surrounds. Events and workshops at Temple Byron next door. Tim and Wandy are both SCUBA diving and marine enthusiasts and are happy to help you experience the fantastic diving in Byron Bay. 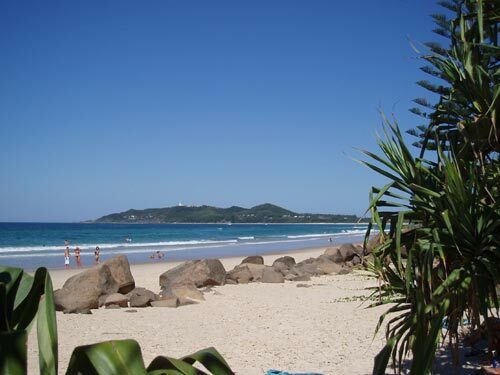 Summer in Byron Bay – relax at Planula Retreat! Looking for peaceful and relaxing accommodation away from the ‘madness’ of downtown Byron Bay – but within a couple of minutes drive – you have come to the right place. Spring and Summer in Byron Bay are beautiful. Everything is lush and green, T-Shirt weather and the humpback whales are cruising past until the end of October. 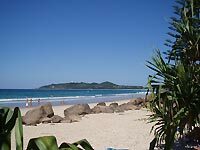 Finding great accommodation in Byron Bay at any time can be a challenge. If you are looking for a peaceful and quiet place to stay, with Planula Retreat you found the right place!